At the heart of innovation are people — individuals and corporations —working behind the scenes in research and development, striving to come up with the latest, greatest products, processes and methods. But the advancements we have today wouldn’t exist without the resources to fund these forward-thinking people. In Ohio, great things are happening across the state at companies where R&D is the catalyst that’s fostering state-of-the-art advancements among a host of industries. JobsOhio, a private non-profit corporation designed to drive job creation and new capital investment in Ohio, is facilitating this innovation to keep Ohio and its companies at the top of their game. JobsOhio’s Research & Development Center Grant, which was created in 2016 to facilitate new strategic R&D centers, is helping make research and development activities more accessible to companies, and it’s one of the advantages of being in Ohio. With the ultimate goal of commercializing these innovations, these grants enable companies to capitalize on their concepts and emerging technologies and see their dreams become a reality. As a result, these innovations spur expansions and job growth, and in doing so, build upon Ohio’s strong economic foundation. In just two years, the R&D Grant Center program has seen tremendous developments. As such, funding authorization, which initially started at $50 million, has been increased to $100 million. One of JobsOhio’s latest R&D investments is Pillar Technology, which was recently awarded $2 million to fast track the testing of connected, autonomous and electric vehicles by building an R&D center in central Ohio. Pillar is a technology consulting company comprised of developers, engineers, designers, digital experience architects and thought leaders. The company operates facilities in Columbus, Detroit, Des Moines, and it has a presence in Silicon Valley. To be named the Center of Mobility, Pillar’s facility will serve as an open and collaborative area to bring together the Columbus automotive and tech communities. JobsOhio’s R&D Center Grant program further fuels the innovation already taking place within the state. Smart Columbus, America Makes and the 33 Smart Mobility Corridor to name a few, confirm why Ohio is quickly emerging as a tech hub. In addition to Pillar Technology, these four JobsOhio-funded R&D centers are starting to take flight, and more are in the works. • JobsOhio, along with the State of Ohio and The Ohio State University, invested $45 million for the first phase of a state-of-the-art hub for automated and autonomous testing at the Transportation Research Center (TRC). In addition, U.S. 33 will soon be one of the country’s longest highways ready for autonomous and connected driving. • Midmark Corp., a provider of medical, dental and veterinary equipment solutions, announced plans to create at least 97 new jobs at a new R&D center in Versailles. • Theken Companies, an Akron-based medical device company, is creating a center of excellence for innovative 3-D printed orthopedic implants. The center will enhance the capacity of the company’s additive and advanced manufacturing facility and is expected to add 71 jobs. • Franklin International Inc., one of the nation’s largest privately held adhesives and sealants manufacturers, announced plans to invest $4.4 million to construct a new 12,500-square-foot R&D facility at its corporate headquarters in Columbus. 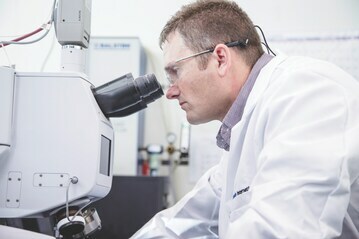 The center will formulate next-generation polymers, adhesives and manufacturing technologies. 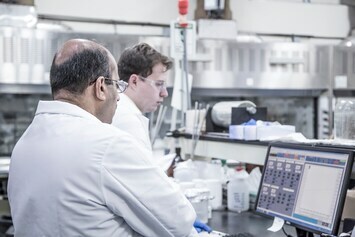 Each of these R&D centers support the development and commercialization of emerging technologies and products that align with JobsOhio’s targeted industries, including: advanced manufacturing, aerospace and aviation, automotive, healthcare, financial services, food and agribusiness, information technology, logistics and distribution and energy and chemicals. To be eligible, an organization must have a minimum of five years operating history and annual revenue greater than $10 million; it must also represent at least $3 million in new cash investment by a corporation. Grant decisions are based on a number of factors, including alignment with JobsOhio sector strategies, job creation, new payroll, fixed-asset investment commitments and project location. An applicant’s track record in successful R&D commercialization will also be an important consideration. Ohio companies are making great strides in R&D. 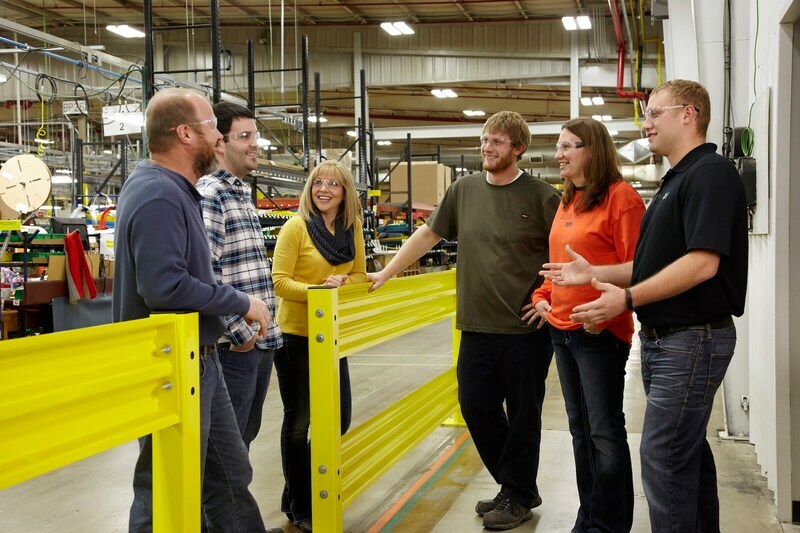 New ideas are being put into motion, and JobsOhio is helping to make them happen.